When Shera's brother Keera tracks down Diablo and the others, he demands that Diablo remove the enslavement spell on Shera so he can take her back to the Elf kingdom. But Shera would rather stay with Diablo and Rem, even if that means staying Diablo's slave. Diablo might not be a real demon lord, but he'll have to act the part if he wants to protect Shera from her own family. Yukiya Murasaki is a Japanese author best known for the Another World Demonlord andthe Slavemagic of Two Summoner Girls light novels. 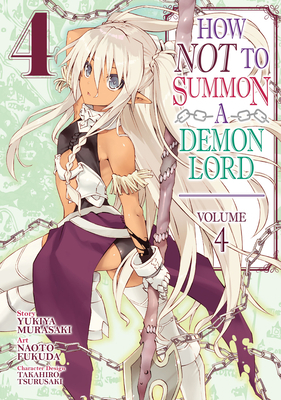 Naoto Fukuda is a Japanese manga artist best known for the manga adaptation of AnotherWorld Demonlord and the Slavemagic of TwoSummoner Girls.